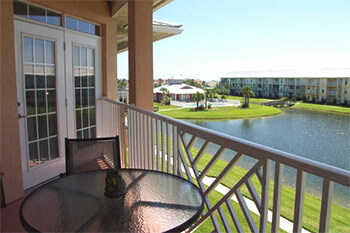 This condo is located in 'Seaside at Anastasia', which consists of upscale condo's centered around a lake, manicured grounds, clubhouse with exercise facilities and community pool. 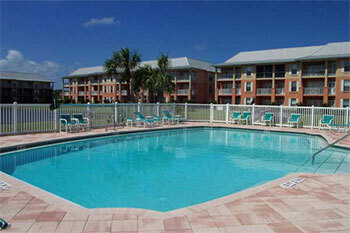 This wonderful home is ideally situated: 1 block from St. Augustine Beach and Pier and close to Anastasia Park. 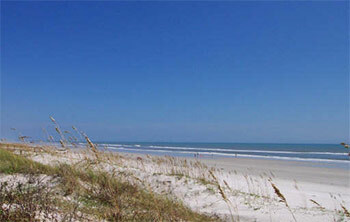 It's minutes from historic, downtown St. Augustine, the oldest city in the U.S.! This beautiful town has it all; Spanish Colonial architecture, museums, galleries, restaurants and shopping. 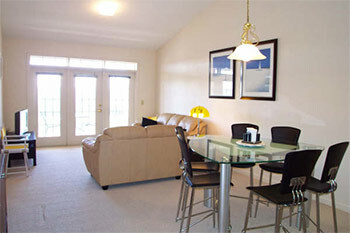 This practically new home is truly turnkey; included in sale are all the furniture, light fixtures, artwork, linens, etc. The modern interior is light, bright with 'beach accents' throughout. Home exists of a tiled foyer with a bedroom to the right. 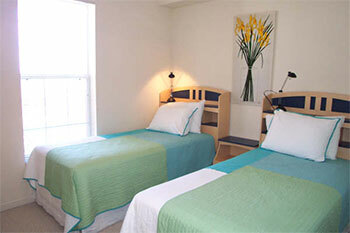 This bedroom has a queen size bed, dresser with mirror and large closet with louver doors. To the left of the foyer is a comparable size bedroom with 2 single beds, furniture and same closet. Bedrooms are all carpeted as well as living room. Next to this bedroom is a bathroom with tiled tub and shower, tiled floors and oversized mirror above vanity. Next to the bathroom is the laundry room with washer and dryer and shelving above. Here are also the water heater, AC-unit and electric panel. To the right is the kitchen, cheery and bright with all white, wooden cabinets. 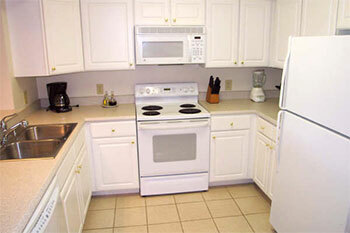 Appliances are GE: dishwasher, electric stove/oven and built-in microwave. Refrigerator with icemaker is Whirlpool. (Small appliances are also included: coffeemaker, toaster oven, mixer etc.). Kitchen has a large pantry. This open kitchen looks out into the dining area and living room. This dining area has a fabulous dining set which can seat 6! Leather couches, appealing 'beach' paintings, some great lamps and a plasma tv give this living room an inviting and welcome feeling. Doors from the living room open up to a large balcony. This is a great spot for your morning coffee or to enjoy an evening cocktail after a hard day on the beach and relax with the view of lake and fountain. 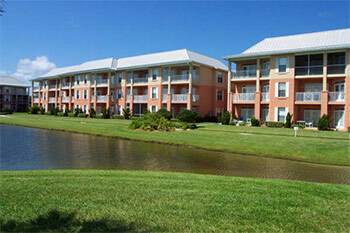 To the side is the clubhouse and pool and there is even some ocean view from this balcony. Next to the living room is the master bedroom and master bath. This bathroom is completely tiled with his and her sink with oversized mirror, separate shower stall and jacuzzitub. 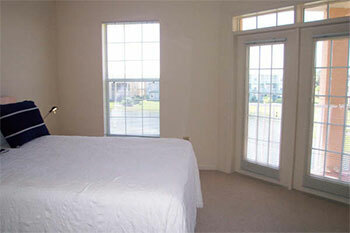 The master bedroom has a large carpeted walk-in closet with shelving and a separate linen closet. Doors from this bedroom open up to the balcony. Some more facts about this great condo: it has vaulted ceilings, sprinkler/fire detectors installed, ceiling fans in all bedrooms. This complex has an elevator for easy access. This home makes for wonderful year-round living or vacation retreat. Great investment, since short-term rentals are allowed.